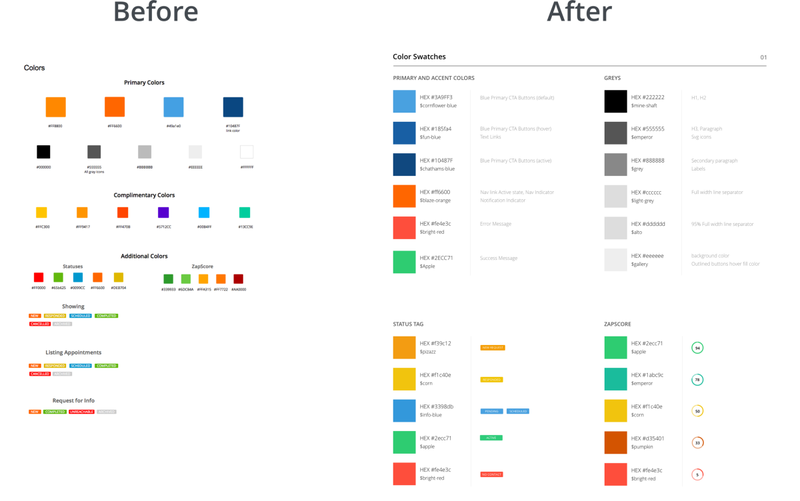 A design style guide determines how a product is going to look. It reflects and shapes the style of the product. It gives you a convenient place to go when you need to reference what the rest of the product looks like as you’re designing. 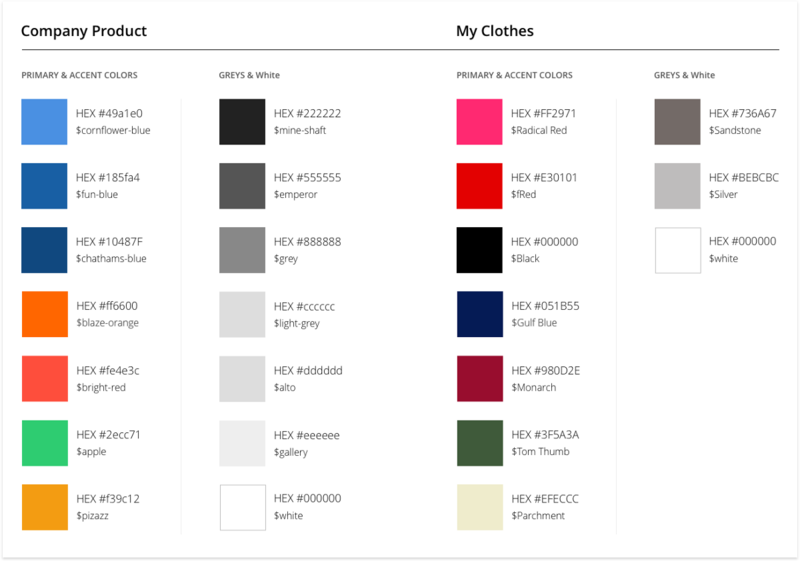 Ever noticed the relationship between a design style guide and your closet? Swap out “product” above for “wardrobe” or “outfit” above, and you get the analogy. 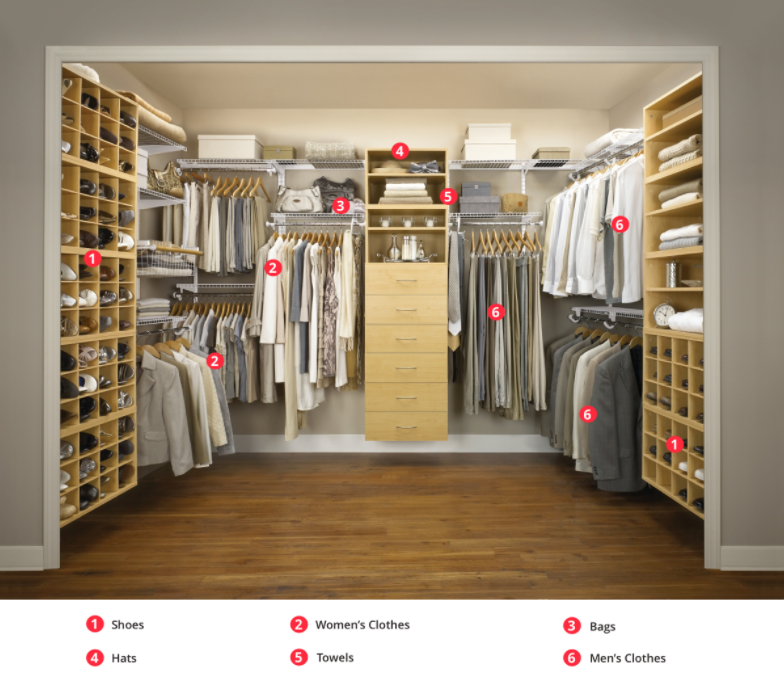 Your closet organization and the things you keep in it help you stand out with a strong sense of personality and unique style—the same way companies want their products to stand out with a strong design style guide. Closets store our everyday needs: clothes, shoes, hats, socks, accessories, and more. We go there to choose the stylish pieces we’re going to use to express ourselves every day. 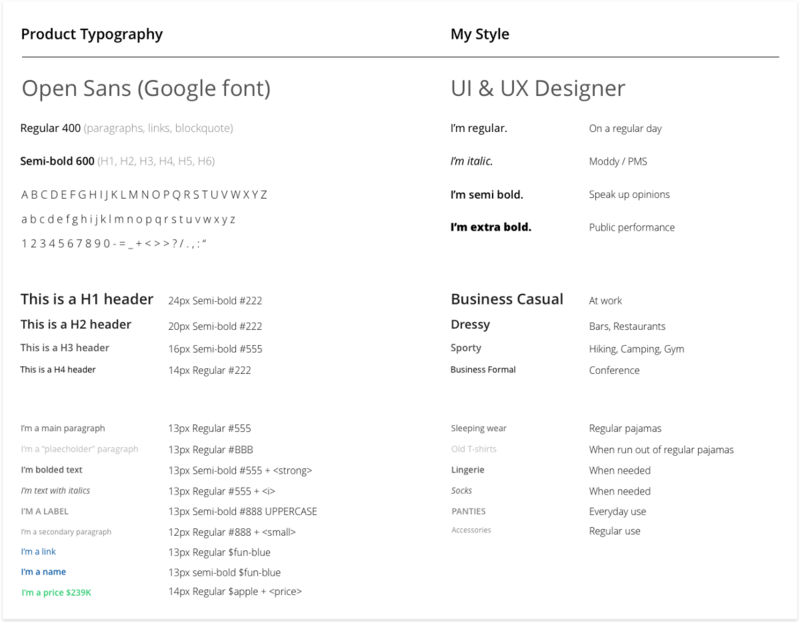 A design style guide stores your user interface components: typography, buttons, forms, toggles, and more. We go there to help design beautiful and consistent products. Both need to be well organized, and easy to peruse for details but also arranged so we can see the big picture. Iconography is like accessories. Who doesn’t like eye candy? They are optional, but they add a little extra to a product or an outfit. Shoes are like buttons—they take you places and the different types serve different purposes. 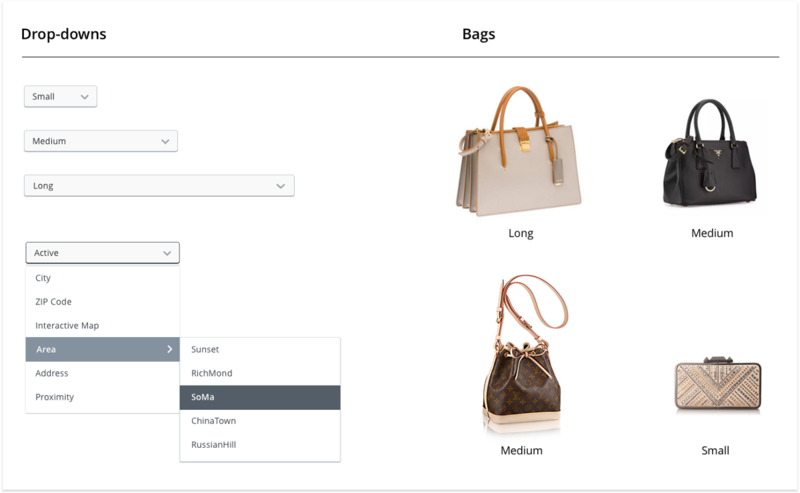 Drop-downs are used to contain a menu of options, hiding extra stuff when you can’t display it all upfront—just like a bag. Forms are usually used when registering online or when filling out shipping and billing information. They often come in 3 states: default, focus, and error. 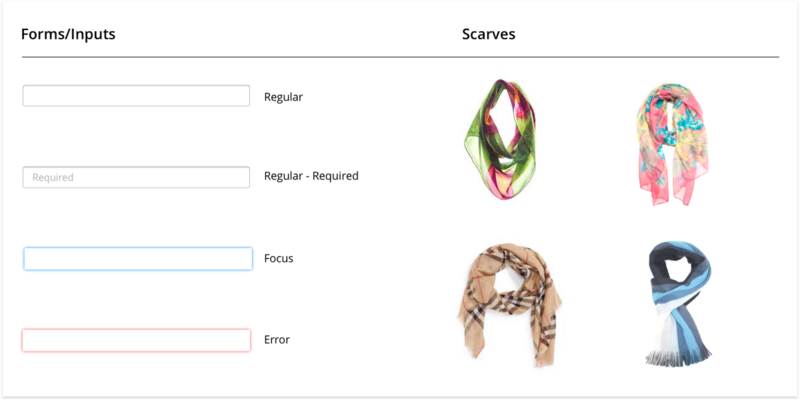 Like scarves of different patterns and weights signal different moods and weather, different colors and types of forms can signal different intentions in the product. An elegant, clean look makes a good first impression on people and provides a pleasant viewing experience—whether you’re talking about an organized closet or the sleek design aesthetic of Apple products. It’s a competitive world, and the nicer your product looks, the more enjoyable it is to interact with and the more likely it is people will use it. The same goes for the way you organize your wardrobe and style guides. Both should evolve forward to stay modern and reflect the changes in your design sensibility. Consistency crops up often in design principles and UX guidelines. 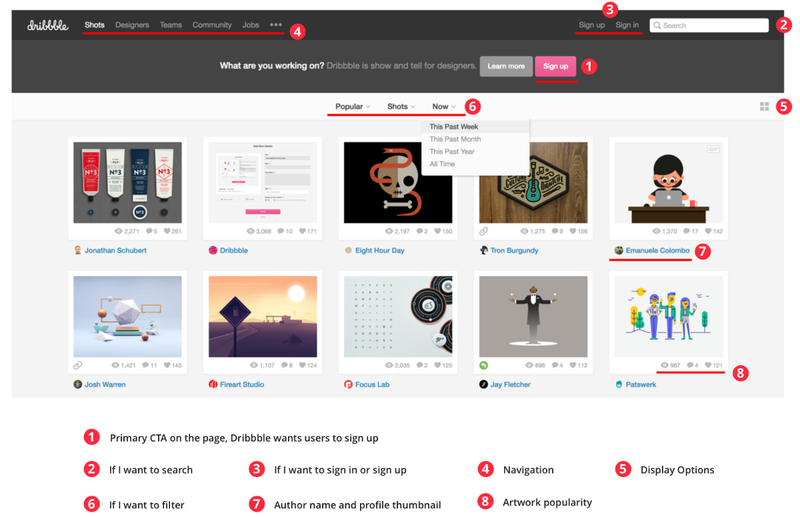 It takes time and effort to establish consistent patterns and functionality, but helping your users learn those patterns improves their experience across the board. The analogy works both ways—you can use your sense of style and organized closet to inspire similar organization and cleanliness in your style guide, or you can apply the design principles from your organized and useful style guide to your closet disaster. In both cases, everything should have its proper place and work harmoniously together to achieve a specific design aesthetic. Read more from Jessie Chen: How Netflix does A/B testing.